The other night I was craving something fresh and I had an Italian loaf that needed to be consumed. I also had some grape tomatoes and spinach on hand. Bruschetta came to mind. It was one of those weekends where my guys were camping, so I was home alone, which means I can eat whatever I want without complaint. 1. Preheat oven to °375. 2. Cut bread into slice on an angel. 3. Drizzle both sides of each piece of bread with olive oil. 4. Place on cookie sheet. 5. 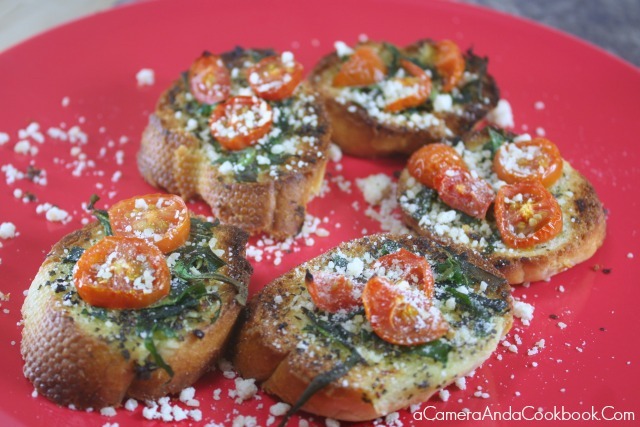 Top each piece of bread with tomatoes, basil, and feta. Bruschetta is always something I find myself ordering when out to dinner. I never thought about making it at home. This looks delish! Me too! This is so much cheaper, than getting it a restaurant and you can customize it. great idea with the spinach! Love it! I loved the spinach on it. I like making bruschetta. This looks delicious. 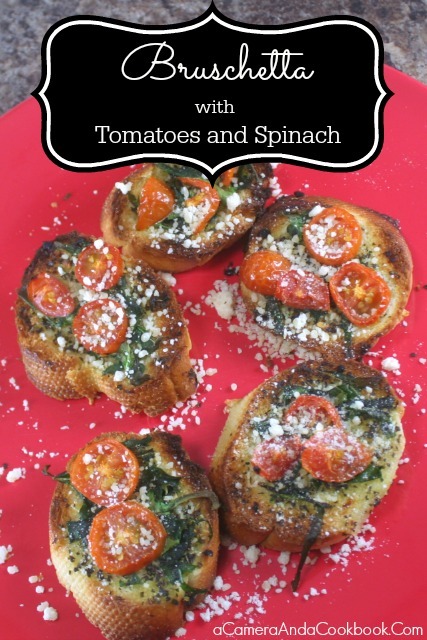 I never had bruschetta with spinach. it looks like something to try.